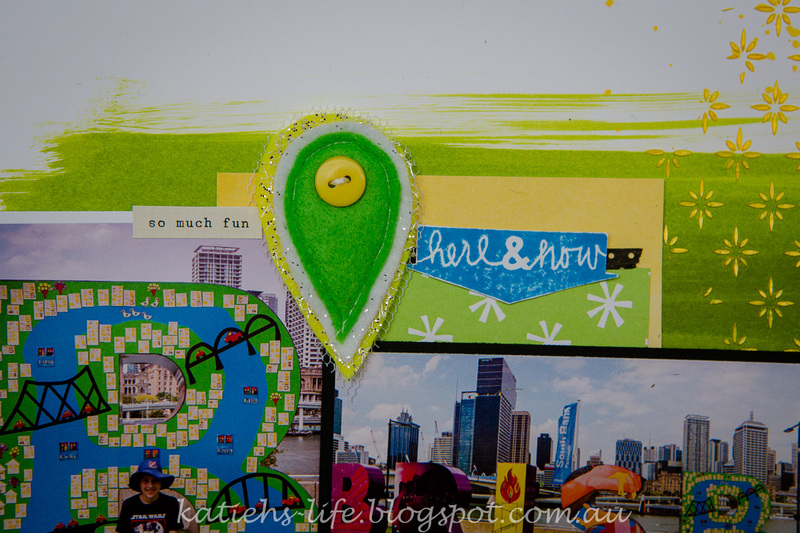 Have you seen the Aussie Day challenge at Charms Creations to use a Map Marker? Check out the Facebook event here, and check out the Map Markers in the store here. The only real criteria for the challenge is to use a Map Marker and on the project tell us where you were or where you live. Easy! So I got myself some of the cool Aussie Day Map Marker specials and this is what I created. 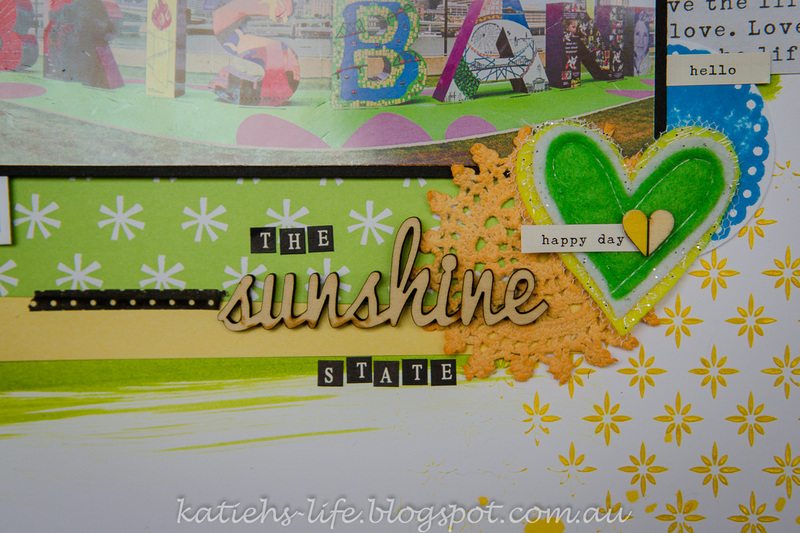 It was lucky that we had been into the city recently and I had these photos of the cool Brisbane sign, and the colouring worked perfectly with the green and gold! I love layering with my Charms Creations and word stickers and wood veneers are perfect for this! I also couldn't go past using this Rainbow Splendour wood veneer word for my title. And here is the important Map Marker. As it already had a button I created a kind of cluster around with a word sticker and a cut out stamped image. I have made it a goal to use my stamps much more this year. 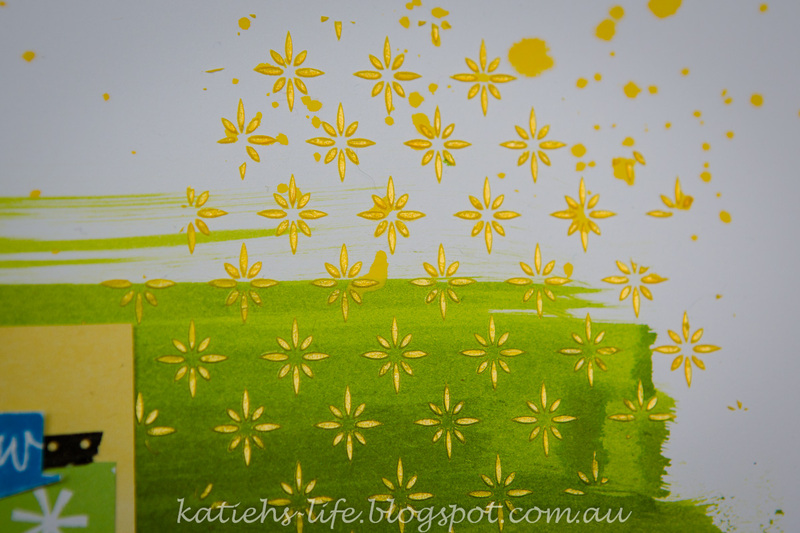 And here is my favourite texture paste again! Colour Blast in sunshine. OK, now it is your turn to use a Map Marker and share where you were!